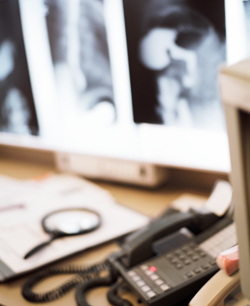 If x-rays were taken, it is usually at the second visit that the doctor will review them with the patient. Showing the patient specifically where abnormal spinal stress has created subluxation, and explaining (in simple terms) what that means. The doctor will usually recommend a particular treatment plan that will vary for each patient depending on how long they’ve had the problem, how severe it is, and how much the body has had to adapt to it on it’s own. Now, in most cases, you’ll receive your first adjustment. Most people feel an immediate sense of relief or release. Even if pain is severe, there is usually an increase in motion, and patients report that they feel “lighter” and “more fluid” with their first couple of adjustments.